With views overlooking Memorial Stadium and The Haymarket District, we offer the best rooftop venue in Lincoln. Capacity 90 standing / 40 seated. For an additional fee, this area can be extended beyond the pergola to include the north half of the rooftop. This expanded area can hold roughly 150 standing and 60 seated. Bookings on the north roof will feature a reserved space, but a shared bar with the public. An assigned server is available upon request. Book the north to experience incredible views and be in the center of the action. Capacity 70 standing / 40 seated. 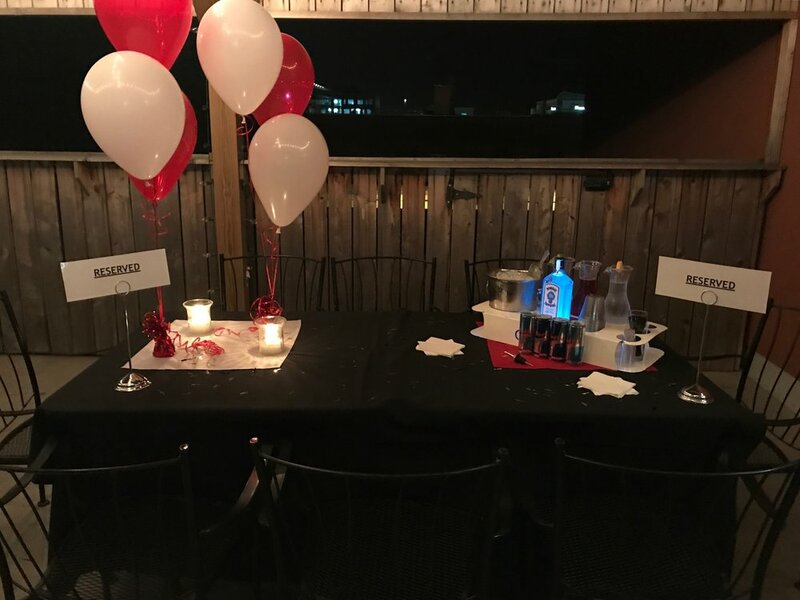 This is the more private side of the rooftop and includes a private bar for just your party. Unfortunately, we don't have keg taps at this bar so please keep that in mind. An assigned server is available upon request. Book the south to experience a more intimate space. "North Half" of the rooftop. We have a variety of tables to configure the space to your needs. We can offer small to medium size buffets on the rooftop. However, to provide the best service possible we encourage plated dinners and large buffets to be hosted in 10 Below. Need something to do besides drink? Ask us about setting up corn hole, for some good old Nebraska competition!